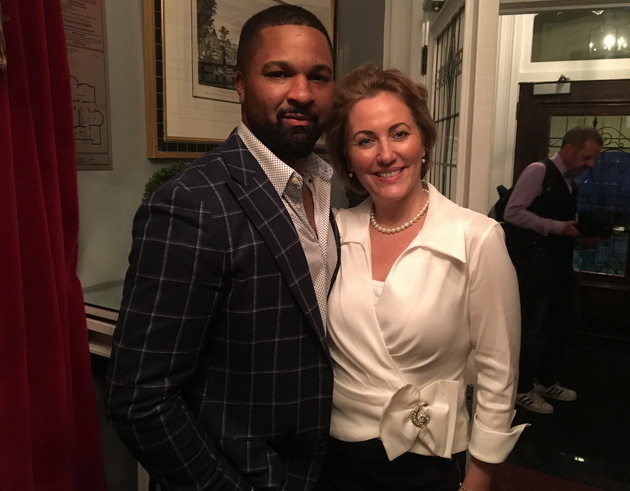 What a spectacular evening writer Rachelle O’Connor and I had with DLynn Proctor, Brand Ambassador Penfolds Americas, as he guided us through a fascinating and entertaining tasting of Penfolds’ most iconic wines and vintages, including the 2002 flagship vintage of Grange. 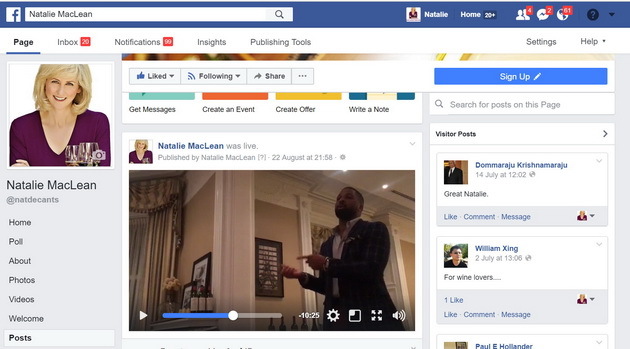 We broadcast 7 Facebook Live Stream videos in real time to capture the entire event at the Cordon Bleu’s Signatures Restaurant, and to include people coast to coast via social media who could not attend in person. Don’t miss DLynn’s answer to a final question in the this video … it’ll give you goosebumps. 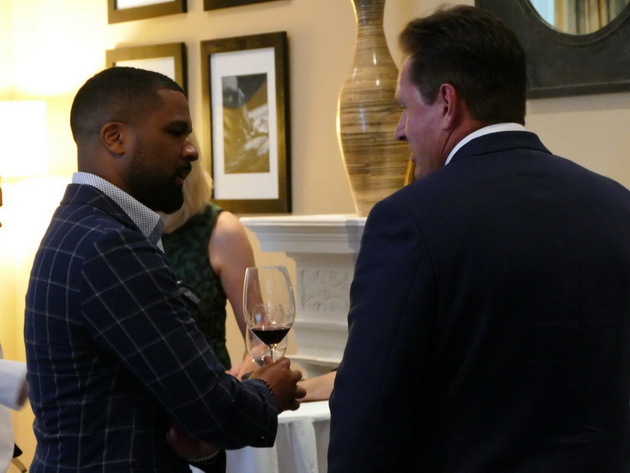 The series started with a lively pre-show interview at the reception and carrying on to many vibrant and colourful stories about Penfolds’ past and the birth of each of these iconic wines: video 1 (pre-show), video 2, video 3, video 4, video 5, video 6, video 7. 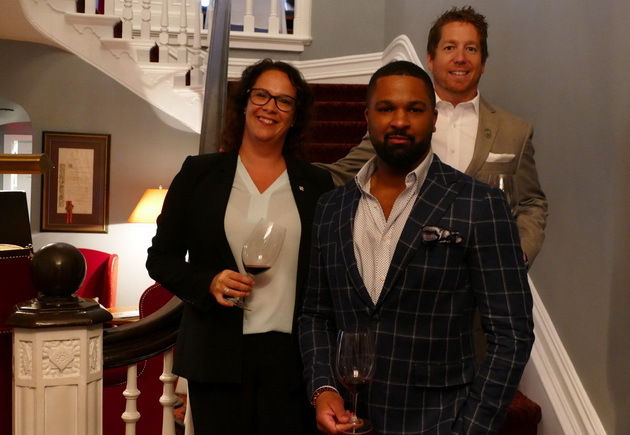 DLynn is one of the four featured sommeliers featured in the internationally acclaimed wine documentary SOMM, covering the rigorous journey to become a Master Sommelier, of which there are only 250 worldwide. DLynn is one of the most eloquent and knowledgeable people I’ve met in the wine industry: he embodies the vision of both current winemaker Peter Gago, as well as the original Max Schubert. I recall another memorable tasting in Australia with Peter Gago, and his elegance. Peter described a former winemaker as having “beautiful manners.” I’ve never forgotten that phrase, or Peter. You’ll find an excerpt from my second book, Unquenchable, below chronicling that tasting. 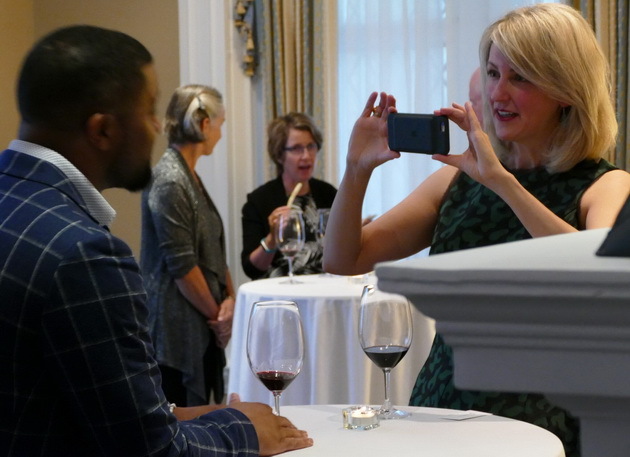 What better way to spend a Summer evening – dining at Le Cordon Bleu culinary institute in Ottawa, tasting an exquisite five course dinner prepared by Executive Chef, Yannick Anton and paired with some of Penfolds greatest expressions under the enthusiastic and informative guidance of their Brand Ambassador to the Americas and Canada, DLynn Proctor, Master Sommelier. 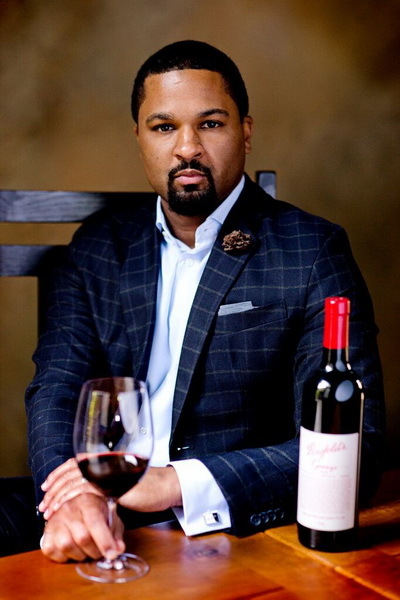 (Named Best New Sommelier in America by Wine & Spirits Magazine, 2008). 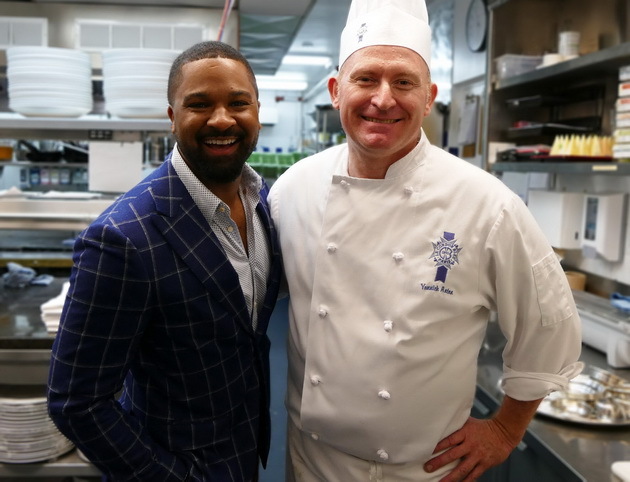 The warmth and sophistication of the private dining room at Le Cordon Bleu provided the perfect backdrop for the evening that I had been looking forward to for weeks. 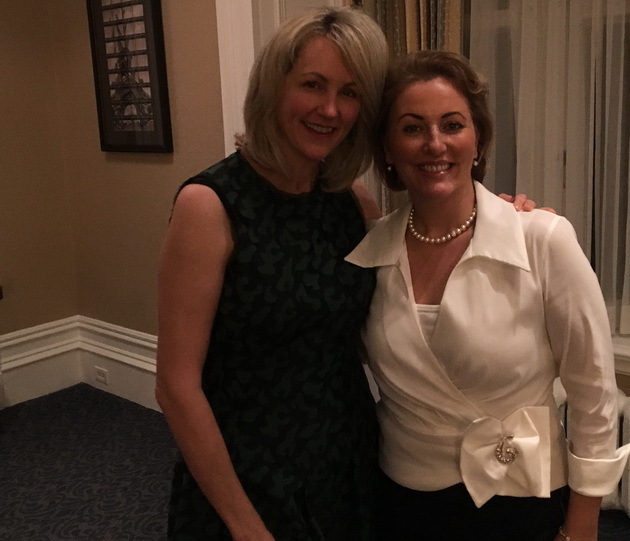 I was fortunate to meet DLynn during the reception. He was warm, charismatic, engaging and had a contagious energy that proved to be just the beginning of a great evening. 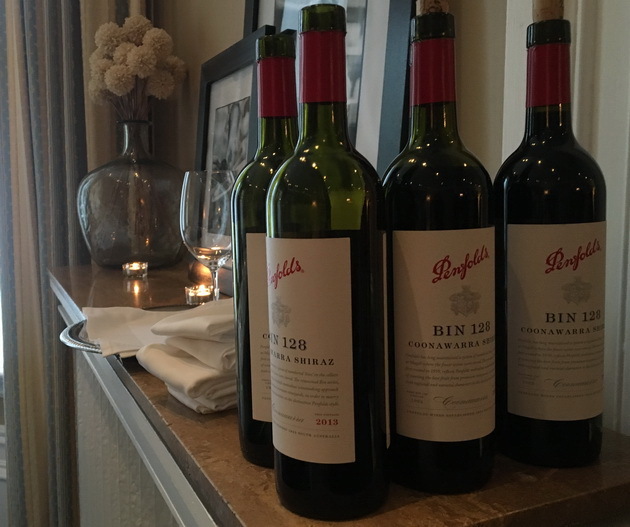 As the dinner formally began, he took us on a magical journey, quoting historical facts with reference to key dates, heart- warming short stories and pivotal turning points in the legacy of the iconic Penfolds portfolio. Most memorable was his immeasurable respect and adoration for Max Schubert, Penfolds founding Chief Winemaker, who revolutionized Australian winemaking. The opening act, the Penfolds Yattarna, 2004 was a perfect way to start the meal with the amuse bouche. DLynn shared the vision of the late Max Schubert in the production of this South Australian gold medal award winning Chardonnay. It is truly nothing short of spectacular. The translation of “Yattarna,” is from Aboriginal roots meaning “little by little, gradually” – is true in every sense of the word with the effort put forward in the creation of this wine with the hopes it would evolve to parallel the same level and standards of the Penfolds Grange. 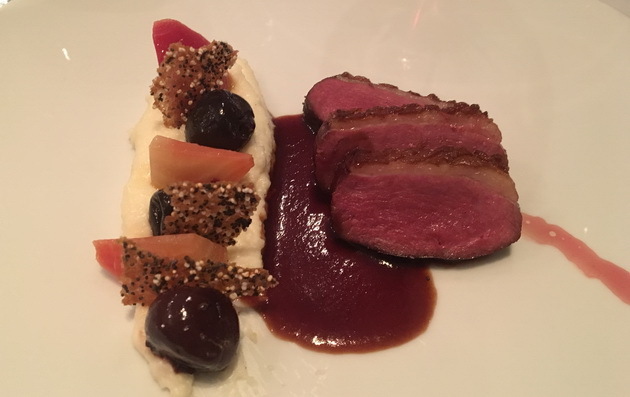 The second course – duck breast with a cherry sauce, Chioggia beet and a vanilla polenta (wow) and the divine Penfolds R.W.T, 2001. 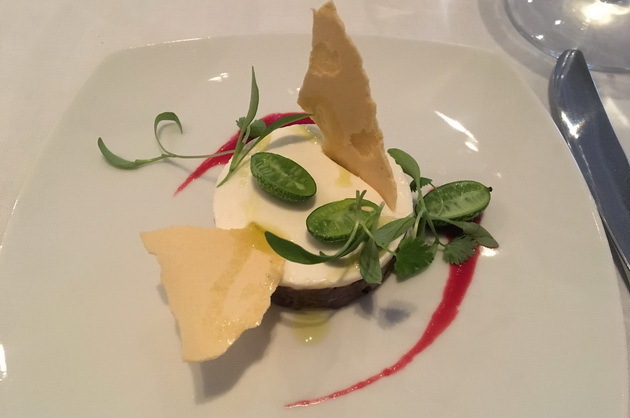 This was outstanding, and if there was ever a perfect food and wine match – this was it. The third course was a beautiful presentation of braised short ribs with truffled potato pure paired with the Penfolds Magill Estate, 2004. It is a single vineyard production and quite significantly, the grapes are harvested from the original Penfolds 5.2 ha vineyard at Magill (established in 1844). 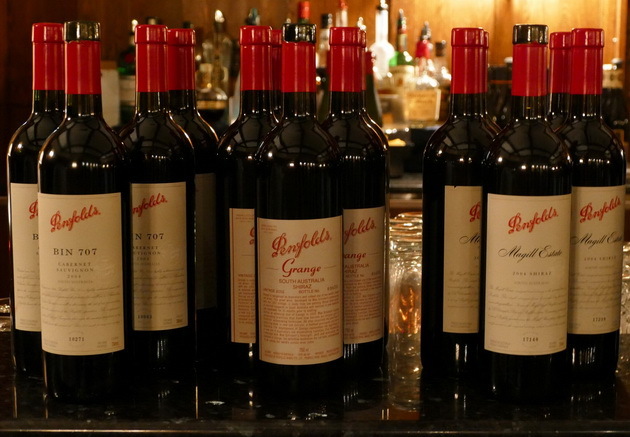 It should be noted that some parcels of Shiraz from the Magill Estate make the cut to be added to the final blend for Penfolds Grange in some vintages. 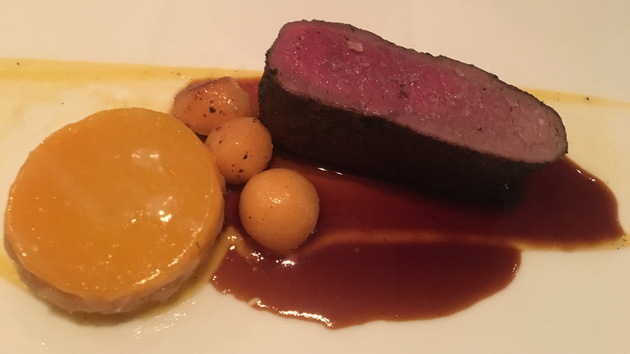 The Penfolds Grange 2002, paired with coffee crusted deer loin, was outstanding. Grange tells a story. It boasts the stylistic vision of Max Schubert, coupled with his want and desire, to achieve this top quality production without ever compromising or wavering from any step along the way. What a bouquet – violets, leather, chocolate, pencil, black fruit and oak – a silky texture and wonderful balance with decadent flavors of licorice, blackberry, and spice. It is so packed with layers of richness and elegance. Peter Gago and his team have outdone themselves once again, in the creation of this masterpiece. The evening wrapped up with Q&A, a sinful cheese plate and the Penfolds Bin 707, 2004. The room was full of appreciation and adoration for DLynn and his charismatic and engaging personality; it was truly a night to remember. 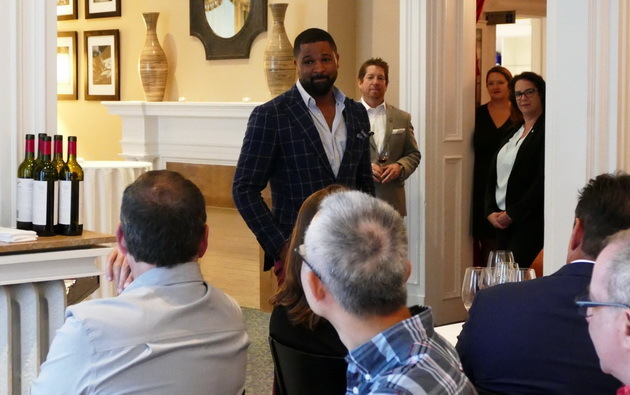 DLynn was named Best Sommelier in America by Wine and Spirits Magazine, and was a finalist in The Chair des Rotisseurs Societe Mondiale du Vin Best Sommelier in America Competition in 2008 and 2009, and was name to the National RUDD Scholars of 2011. 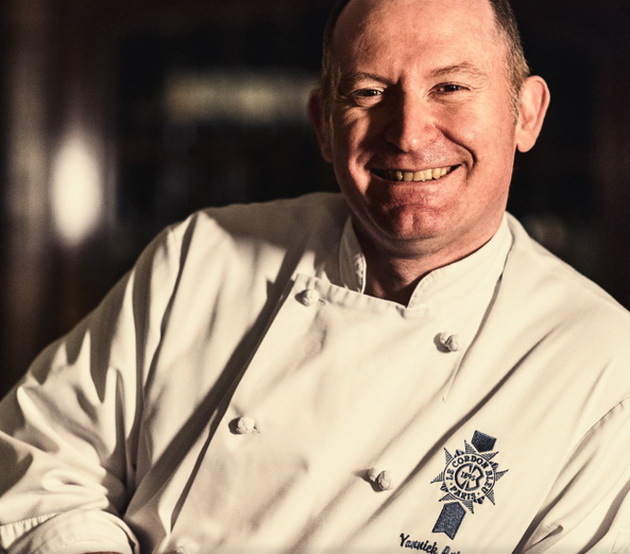 The evening will include a 5-course culinary dinner prepared by Le Cordon Bleu executive chef Yannick Anton. 1844 – After the success of early sherries and fortified wines, founders Dr Christopher and Mary Penfold planted their vine cuttings they had carried on their voyage over to Australia. 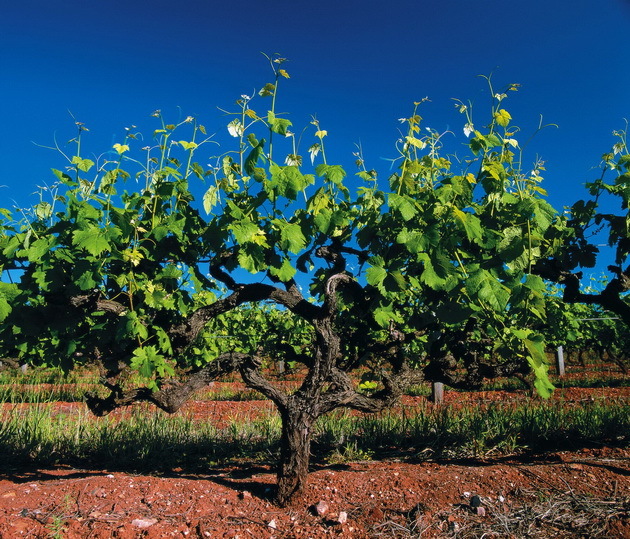 In 1844 the fledging vineyard was officially established as the Penfolds wine company at Magill Estate. 1920 – By the time Mary Penfold retired in 1884 (ceding management to her daughter, Georgina) Penfolds was producing 1/3 of all South Australia’s wine. She’d set an agenda that continues today, experimenting with new methods in wine production. By Mary’s death in 1896, the Penfolds legacy was well on its way to fruition. 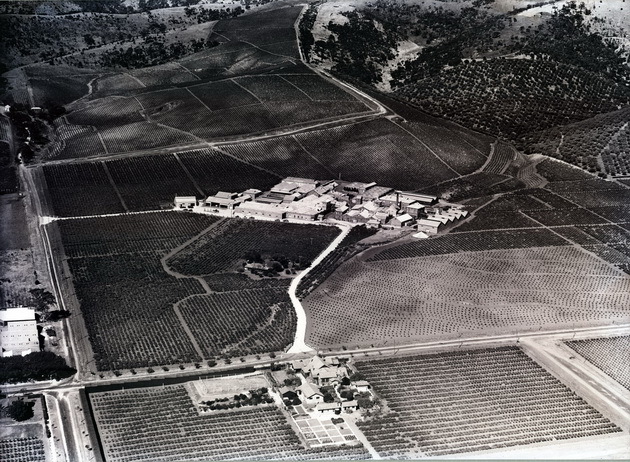 By 1907, Penfolds had become South Australia’s largest winery. 1848 – In 1948, history was made again as Max Schubert became the company’s first Chief Winemaker. A loyal company man and true innovator, Schubert would propel Penfolds onto the global stage with his experimentation of long-lasting wines – the creation of Penfolds Grange in the 1950s. 1959 – In 1959 (while Schubert was perfecting his Grange experiment in secret), the tradition of ‘bin wines’ began. The first, a Shiraz wine with the grapes of the company’s own Barossa Valley vineyards was simply named after the storage area of the cellars where it is aged. And so Kalimna Bin 28 becomes the first official Penfolds Bin number wine. Late 20th Century – In 1960, the Penfolds board instructed Max Schubert to officially re-start production on Grange. His determination and the quality of the aged wine had won them over. Soon, the medals began flowing and Grange quickly became one of the most revered wines around the world. In 1998 Schubert was named Decanter Magazine’s Man of the Year, and on the 50th anniversary of its birth, Penfolds Grange was given a heritage listing in South Australia. 21st Century – Despite great success, Penfolds never rests on its laurels. In 2012 Penfolds released its most innovative project to date – 12 handcrafted ampoules of the rare 2004 Kalimna Block Cabernet Sauvignon. I meet Peter Gago on a ramp in front of the barrel cellar—a slim man in his early fifties in an understated grey tunic and designer pants. He looks more like an art gallery owner than Penfolds’ chief winemaker, whom I’d expect to be in wine-splattered overhauls. Peter’s title is actually “custodian,” embracing a wider role than simply winemaking. His off-season road trips would leave a rock band exhausted—a recent tour involved 26 cities over ten weeks. 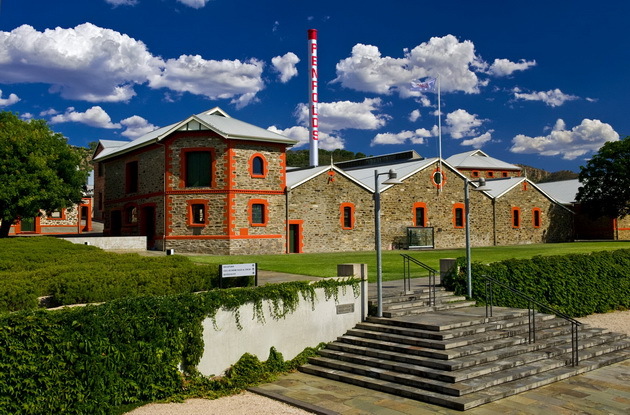 Penfolds was founded in 1844, making it older than many European wineries. The original planted vine cuttings from southern France were planted for medicinal purposes: a physician who had emigrated from England, Dr. Christopher Rawson Penfold, wanted to make wine for his patients. Predictably, more and more locals sought the “wine cure” for an increasing wide range of ailments. Demand soon outpaced production, and Dr. Rawson decided to give up medicine and make wine full time. The business prospered for decades; and after the good doctor’s death in 1870, his widow Mary ran the business for another fourteen years. 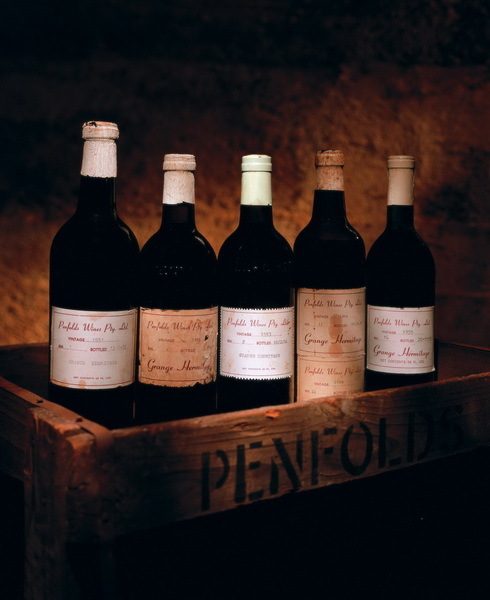 Penfolds remained in the family until part of its stock was sold in 1970. Then in 2005 the winery was bought by Fosters, which also owns Wolf Blass. Peter joined the company twenty-two years ago, after graduating from oenology at the prestigious Roseworthy College of Agriculture at the University of Adelaide. He invites me to tour the cellar before we taste the wines, opening the large door with balletic grace. 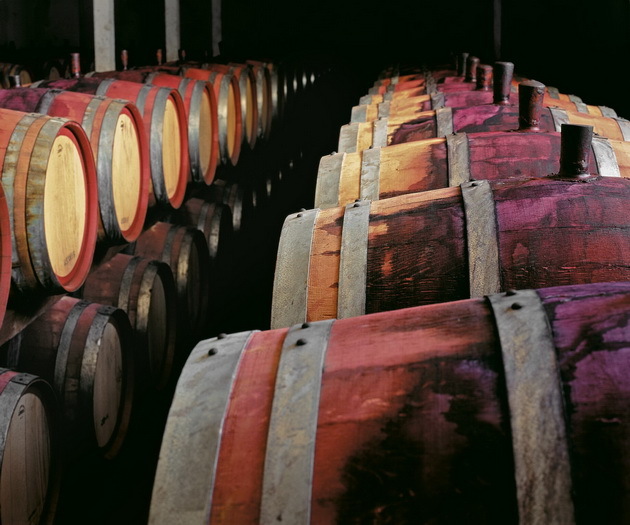 Inside, are long rows of massive dark oak barrels, twelve high and fifteen feet in diameter. “We are the world’s largest boutique winery,” he says in a soft Australian accent with polished finishing-school diction. The winery produces 2.5 million cases a year and is one of the country’s largest exporters. 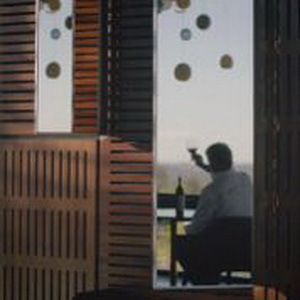 A previous Penfolds winemaker pioneered the use of oak in Australia. Max Schubert joined the company as a messenger boy in the early 1930s, and over two decades rose to become winemaker. In 1949, he went to Spain for a month to learn sherry-making techniques, since at the time, Australians who didn’t drink beer mostly drank fortified wines. On his way home, he stopped in Bordeaux, tasted the local wines, and noticed that producers there aged their wines in oak barrels. He realized that oak was the ideal cradle for unfortified wines to develop the structure they needed for aging. When he got back to Australia, he experimented with a small batch of red wine. 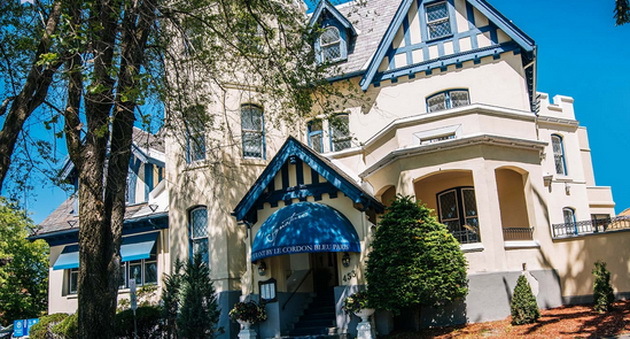 Since he hadn’t planted any Bordeaux-style grapes such as cabernet sauvignon or merlot, he used the local shiraz, then mostly the base for port-styled wine. After the wine had fermented, he didn’t have any French oak, so he used American casks. He positioned the wax-coated wooden closures called bungs at the twelve o’clock position and topped the barrels up regularly so that the wine wouldn’t oxidize. A small percentage of the wine slowly evaporates through the wood—it’s whimsically called the angel’s share. Max drained the clear wine from the sediment that had settled out of it at the bottom of the barrel to a new barrel, a process called racking. He then aged the wine another eighteen to twenty-four months in oak for a tight weave flavour and structure; a warp and woof of tannin and fruit. He named the wine Grange Hermitage, in honour of Grange Cottage (Mary Penfolds’ home in England) and the French wine syrah (known as Hermitage in the Rhône region). However, at that point, the wine was merely his personal project. When he unveiled his creation to the senior management at Penfolds in the early 1950s, they were less than impressed. The dry style of wine, with a hint of oak, didn’t suit their taste or that of their customers, they believed. They didn’t understand that the wine would soak up the oak over time and they wouldn’t taste it directly, just as you don’t notice the structural beams in a beautiful house when it’s finished. Grange became proof that senior management often doesn’t know what they’re doing. They issued Max a direct order on company letterhead to cease production, or he would be fired. Fortunately, Max was convinced of the wine’s potential, didn’t listen to his bosses and kept making the wine in secret from 1957 to 1959. These are now called the Hidden Granges and are coveted by collectors around the world. Grange is also proof that wine critics often don’t know what they’re talking about. When the wine was first launched, they said it tasted like crushed ants. But in 1962, Max entered his 1955 Grange into the Sydney Wine Show, where it won the gold medal. 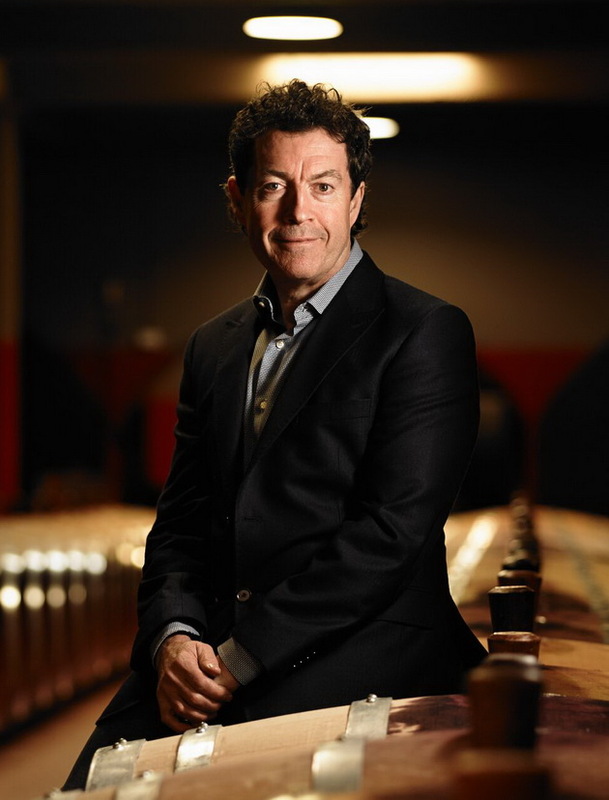 Penfolds senior management relented and asked Max to restart production (unaware that he had never stopped). A decade later, more and more winemakers adopted Max’s approach and started using oak and creating a dry style of wine. Today, Grange is the world’s most expensive shiraz. (The Hermitage part of the name was dropped in 1990 before the French could protest that the name belonged to them, as much as names like Champagne and Bordeaux do.) 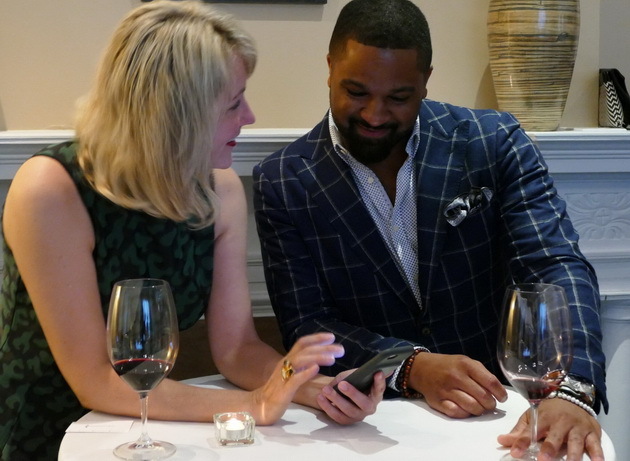 The starting price of Grange is $500 a bottle when it’s released every May 1. One bottle from 1951 recently sold at auction for more than $50,000. Hang on, this doesn’t sound like a wine for a cheapskate, even a choosy one. 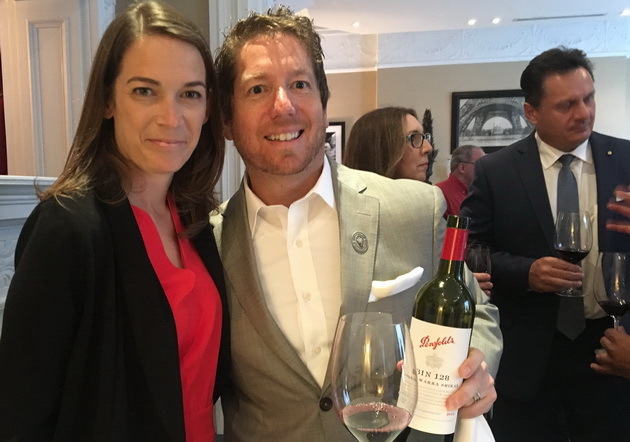 Well, the brilliance of Penfolds is that they established their reputation at the high end of the price scale. Then, over time, the company diversified into a wide range of wines with lower price tags, though they still had the signature flavours of the flagship wine. The entry-level wine, Penfolds Rawson’s Retreat, starts at about $12, followed by the $15 Koonunga Hill, the $20 Thomas Hyland, and then the pricier Bin numbered wines (128, 138, 28, 407, 150, 389, 707), the St. Henri, the Magill Estate, the RWT and finally, Grange. 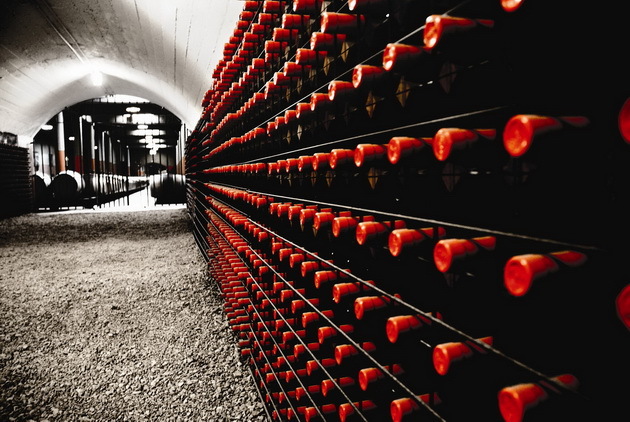 The Penfolds style trickles down through all the tiers. 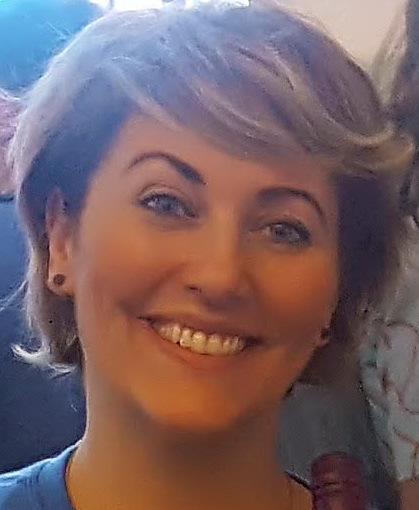 Other Australian brands, such as Rosemount and Hardys, also use “ladder brands” to move their customers up the product line. Personally, I’m happy to stay on the lower rungs where the price-quality ratio of these wines is terrific. Like Wolf Blass, Peter believes that American oak is well suited to shiraz because the wood’s wider grain can support the rich flavours of the grape. Still, not all American oak is the same. Peter explains that its character differs depending on how it’s seasoned. When oak staves are first cut, the wood is still green and full of tree resin, so the barrels made from it would impart green, dill pickle flavours to the wine. Many barrel coopers leave their wood slats outside for several years, allowing the rain and sun to naturally leach out the resin and dry the wood before making them into casks. The wood staves are set it around a small fire, but not touching it, to in order to make them pliable enough to be shaped into a barrel. A high temperature toasting releases estuary compounds in the wood—notes such as coconut and vanilla—whereas lower temperatures may impart aromas of chocolate and coffee. Whatever the technique, Peter says, the essence of the flavour should be “oak-derived,” but not quite oak. “It’s interesting that many Americans didn’t like the taste of their own oak until they tried Australian wine,” he observes. When tannin is balanced with the fruit of the wine, it acts like acidity, as a mouth scrubber with its drying astringency. This leaves your palette refreshed for the next bite of food rather than fatiguing with the same taste. Tannin is terrific with fatty foods, cutting through their richness, and in turn, the food smoothes out the wine. The combination is exhilarating: the food brings down the roughness of the wine, and the wine brings up the different flavours in the food. As the only animals who cook our food, we humans have grown to love a broad range of foods and flavours. Many of us have also developed a liking for the smoky flavours derived from the hardwood originally used to cooked our food, especially oak. In wine, oak adds complexity with non-fruit flavours, such vanilla, smoke, caramel, and cedar. However, too much oak in a number of other Australian wines I’ve tasted obliterates the taste of the wine, much like dousing everything you eat with ketchup or salt. These “termite specials” club your palate until it’s numb, assaulting you with flavours and tannins. If the death of elegance had a taste, this would be it. They don’t even pair well with food except perhaps wild buffalo—if it’s still alive. Consistency is a controversial benchmark for wine quality: many vintners feel a wine should reflect the individual vintage. 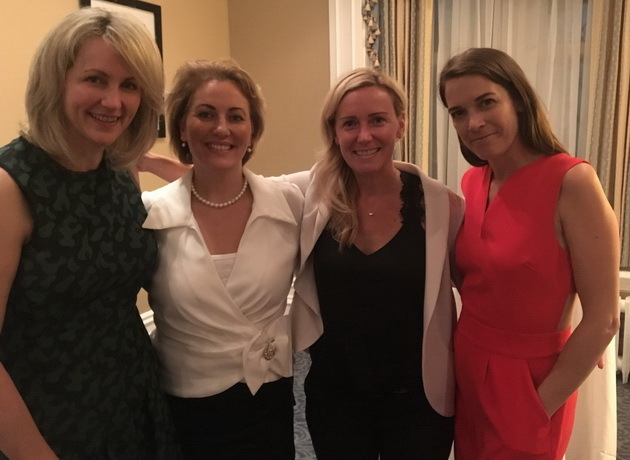 It’s also at odds with the efforts of the industry group, Wine Australia, to market the differences between the country’s more than sixty wine regions. It’s a thin red line to walk because some drinkers don’t want wine that’s indistinguishable from one region to the next, while others don’t want French-styled complexities imported to the country that’s made wine so accessible. 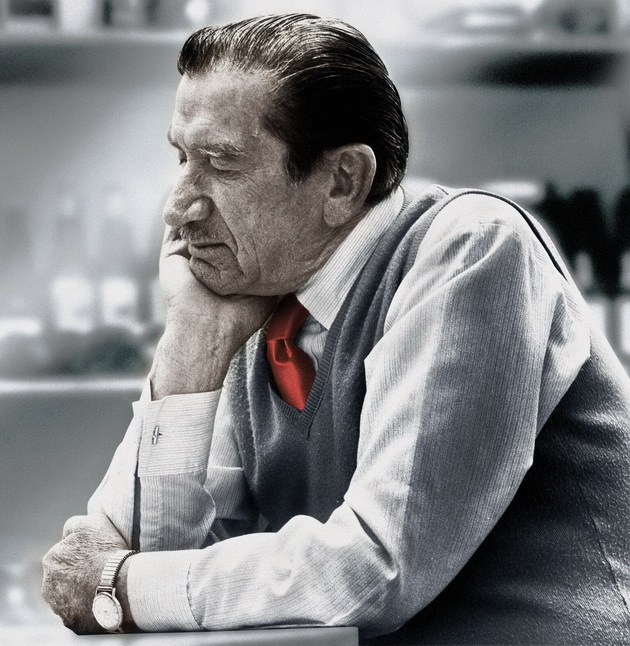 The famed Penfolds longevity is also the result of another of Max Schubert’s innovations. He realized that the heat of Australia’s climate in many of its regions ripened the grapes to such a degree that their sugar was high and the acidity low. Acidity protects them from bacterial infection. Without this natural protection, Australian winemakers often had to throw out up to a third of their production every year. Max realized that if he could stabilize the wine to the right level of acidity and pH, it could have the potential to age for decades. His solution was to “correct” the finished wine by adding a small amount of tartaric acid, a substance that’s already naturally in grapes. This move attracted the criticism that Max was manipulating the process too much and making a “chemist’s wine.” In France, the corresponding controversial activity is chaptalizing, which means adding a little natural grape sugar to the fermenting wine to increase its body and alcohol. This is done mainly in cool climates, such as northern European countries, where the grapes don’t get sufficient warmth to fully ripen in some years. Obviously, that’s never the issue in Australia’s warm regions, like the Barossa. Increasingly, though, winemakers on both sides of the ocean are learning how to best work with their grapes in the vineyard to get enough sugar and acidity, rather than having to add them afterwards. Peter shows me around several large open vats made of concrete. They’re empty now because the harvest took place about two months ago in April so the new wine is already in barrels. Australia is in the southern hemisphere and so its seasons are the opposite of those in the north. The open vats are a highly aerobic method of winemaking, which doesn’t simply refer to how hard the winemakers work (they do), but also to exposing the wine to oxygen. Several times a day during fermentation, Peter does what he calls “rack-and-return”: the juice is drained from the bottom of one tank into another tank, and then splashed back over a grate to aerate it. The skins sink to the bottom of the tank as the must is drained, and then the must is pumped back over the skins. The skins gradually rise to the top again as the juice extracts more flavour and colour from them, conditioning the wine for long-term aging. The culture of innovation remains widespread in Australia: the country publishes more research papers on technology than any other country, led by scientists at Roseworthy. Penfolds’ own history of innovation didn’t end with Max Schubert. In the early 1960s, winemaker Don Ditter named the newest wine Bin 707 after the Boeing 707, one of the most advanced aircraft of the time. In 1997, the vintner before Peter, John Duval, created RWT— Red Winemaking Trial—the name was supposed to be a temporary one for an experiment with aging Barossa shiraz in French oak. When the trial turned out to be successful, the name stuck. Peter also experiments on a variety of winemaking aspects, including his 2011 launch of the Coonawarra Bin 169 Cabernet Sauvignon matured in French barrels as the stylistic foil to the American oak-aged Bin 707. However, he is wary of depending on either oak or technology too much. 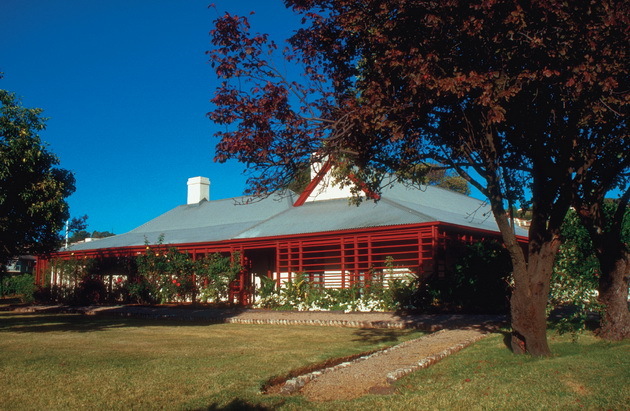 Peter’s never far from the tradition of Penfolds: his office is in the old Magill Cottage, the Penfolds’ original home that still stands beside the cellar. Inside the timbered cottage are sepia-toned photos of Mary, Christopher, their children and their grandchildren. There are yellowing deeds and land certificates and leather-bound books. Peter takes me to a small room where we taste the wines. It’s fascinating to taste both history and modernity as a gathering essence in the glass. The modestly priced Rawson’s Retreat, Koonunga Hill and Thomas Hyland, are all exceptionally well-made for the price. There’s a sheen to the fruit that seduces you, and a lusciousness in the taste that makes good on the promise. The St. Henri is lighter-bodied than the Grange, but with the same fruit intensity. It’s fermented in large 385-gallon vats that are fifty-five years or older so it has little oak character or oak tannin. The flavours unfold in my mouth like a peacock tail, growing wider and more varied as I taste. Peter pours me the higher-end offerings. RWT offers concentric circles of pleasure: fleshy blackberries roll around the outer circles of flavour, deepening to a dark, concentrated core of hedonism. There’s an elemental interplay of liquid, air and wood that’s built for aging. By contrast, Grange is an expansive darkness of liquorice, black olive, and graphite depths. The first sip is big, and then it builds in your mouth. It’s a cumulative wine that swells and engulfs your senses like the musical signature of Ravel’s Bolero, becoming more pronounced, more exciting the more you taste it. As we taste the wines, Peter and I chat about the winery’s re-corking clinics, constituting what must be the best after-sales service in the wine world. Penfolds invites customers to bring their Penfolds bottles older than fifteen years to selected venues in cities around the world. Peter opens the wines under argon, a protective inert gas cover, then samples a tiny amount to determine if the wine is as it should be, and without faults. If it is good, the bottle is topped up with a few ounces of the same wine but from the latest vintage, which isn’t enough to change the taste or the wine’s integrity for resale. Then it’s resealed with a stamped cork, new capsule, and Peter signs a certification label on the back. 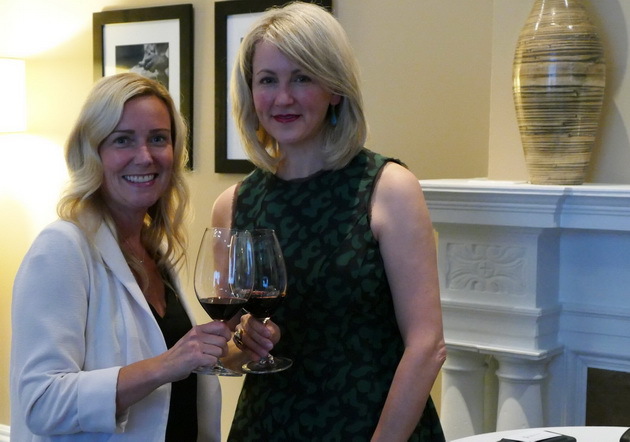 This seal of approval boosts the wine’s value: bottles sold at auction often fetch more than they otherwise would with this updated guarantee of quality. 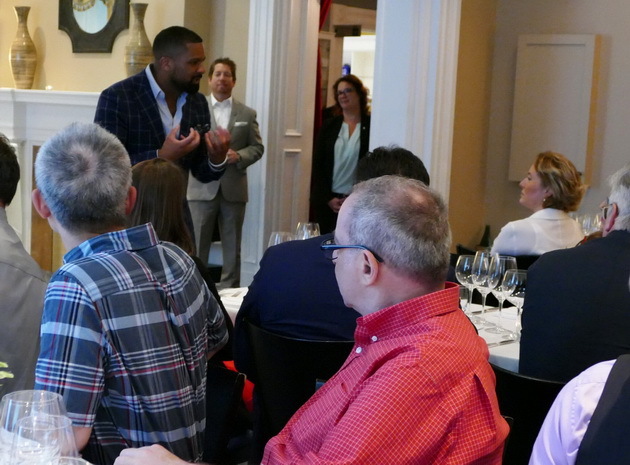 I enjoyed attending a re-corking clinic in Toronto: it was like a wine version of the Antiques Roadshow, with lots of surprised and happy customers. As I watched Peter listen attentively to an elderly woman, both of their hands on a bottle with a yellowing label, I couldn’t imagine a better title for him than custodian.